Today I will share a recipe that is very common and everybody’s favorite one. It’s fried rice. We generally order this half of the times when we go to a Chinese restaurant. But we rarely make this at home though it’s very easy to make and doesn’t take more than 20 minutes. 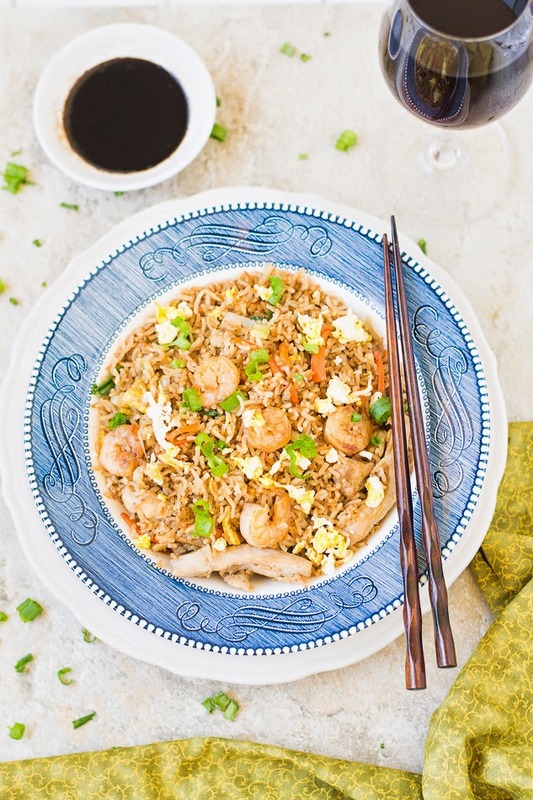 Fried rice is a dish of steamed rice, stir-fried in a wok, often mixed with other ingredients such as eggs, vegetables and meat. It has countless variations and different Asian countries make their own version of it. 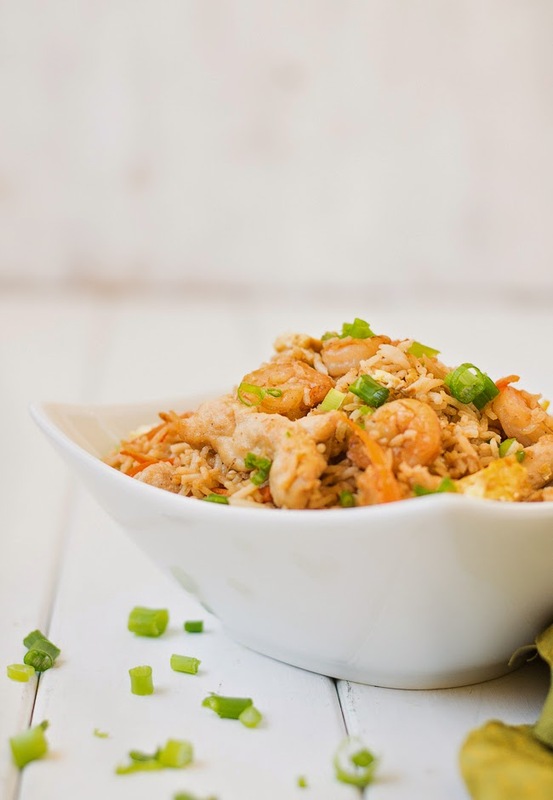 Some of them are popular worldwide like Indonesian Nasi Goreng, Thai Pineapple fried rice, and Filipino garlic fried rice and Chinese Fried rice. We Indians generally love the Chinese one because it has become integral part of Indian Food habits. So much so that street shops in some cities like Calcutta sell more Chinese style fried rice than any other Indian food. 1. Use long grain rice because short grain rice can stick together. 2. Cook the rice and then refrigerate it for couple of hours. This will not make actual fried rice mushy. 3. 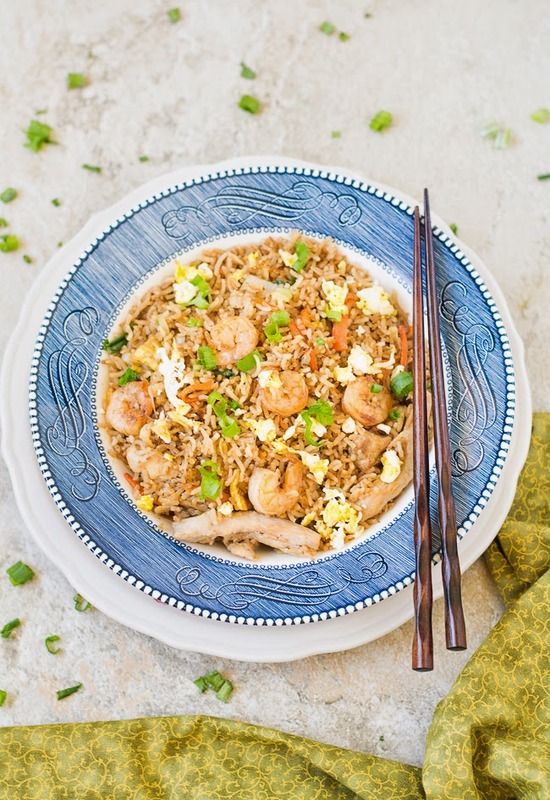 Use a big pan or wok and cook fried rice over high flame; this will help to get the burnt flavor. 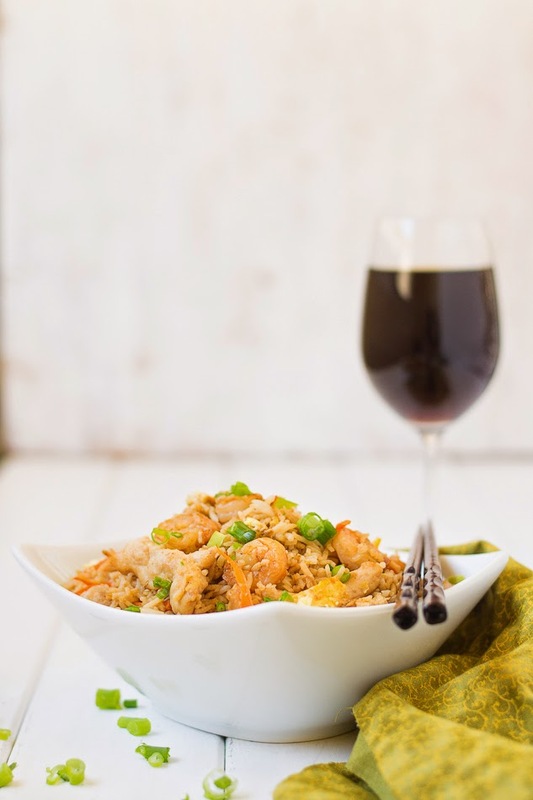 If you follow these 3 things, you can make fried rice like restaurant or far better and healthier than that as most of the restaurants use MSG that is not good for health. 1. Marinate the chicken pieces with vinegar, soy sauce, black pepper and a pinch of salt for 10 to 15 minutes. 2. Take a large skillet or wok, heat it up and add 2 tablespoons of oil. Sprinkle cornflour to the marinated chicken pieces, mix well until they get a nice coat. Add the chicken pieces to the wok. Stir it until they are cooked. Once done set it aside. If you use cooked chicken skip the above steps. 3. Add oil to the same wok, add the shrimp and sprinkle salt and pepper. Saute it until they are pink. Once shrimps are cooked, keep it aside. 4. Clean the wok by scraping it off and add oil. Once oil is hot, add the garlic. 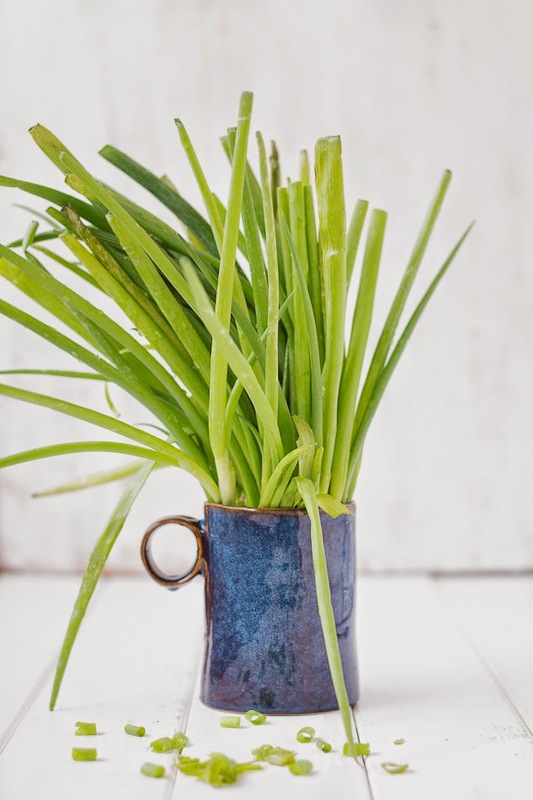 Once garlic is lightly brown, add the white / onion part of scallions. Stir it for couple of minutes until fragrant. Add the vegetable and keep stirring for 2 to 3 minutes or until tender. 5. Add the beaten egg and stir to scramble. Add the chicken and shrimp and mix it well. Stir and toss between each addition. 6. Break up the large clumps of rice and separate the grains and add it to the wok. Give some stirs. 7. Add the sauce and ground black pepper. Taste and check seasoning, add salt if required. Stir everything until the rice is well-coated and gets a light brown color. Sprinkle the green part of chopped scallions and the sesame oil. Switch off the gas and serve immediately. Labels: chicken, chicken fried rice, Chinese fried rice, Egg, egg fried rice, Fish-seafood, Fried Rice, Restaurant style fried rice, shrimp fried rice, vegetable fried rice. Last week most of the Indian communities celebrated their new year. Generally it comes in the mid of April, around 14th or 15th. In both parts of Bengal, it’s called Poila Baishakh which means 1st day of the Boishakh which is the very first month of the calendar year. People greet each other by saying “Shubho Naboborsho” meaning happy New Year. The celebration of Bengali New Year doesn’t get complete without having its traditional sweets. 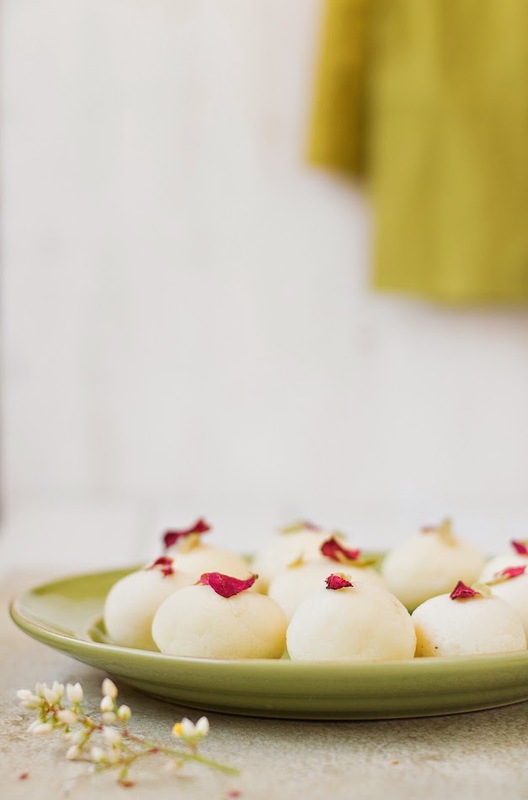 For a Bengali what can be better indulgence than some soft spongy Rasogollas? 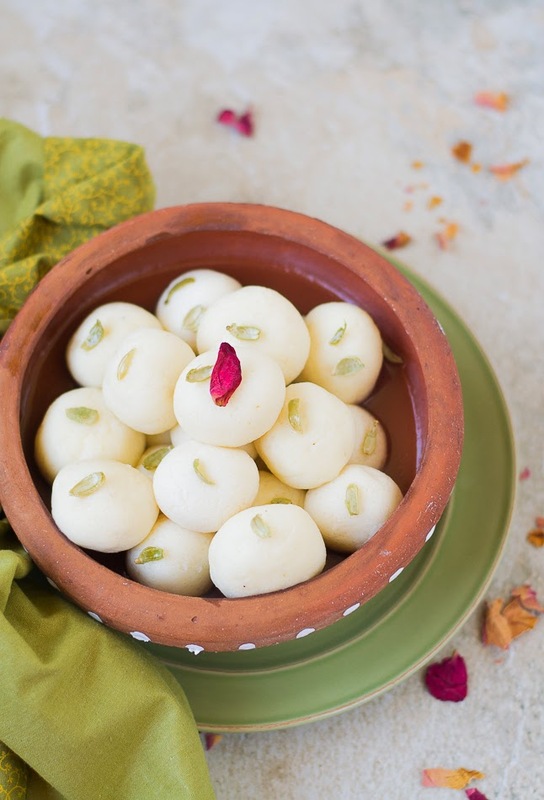 So in this festive season, let me share the recipe of our signature sweet called Rasogolla. In abroad we feel nostalgic and homesick when these special days come and we can’t celebrate the way we used to do in our childhoods. The Poila Boishakh always reminds me the smell of those new cloths, the Bengali Calendars with the Pictures of Gods or places and box of sweets and savory. Since it’s the beginning of financial year, every shop celebrates this day with Pujas and offers. In childhood, we used to visit each shop in the locality to get a new calendar and a box of sweets as gift. 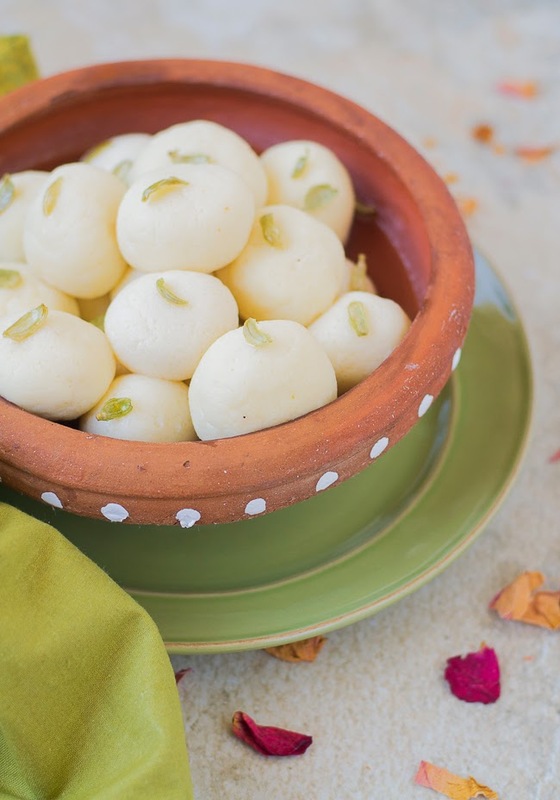 Though Rasogolla / Rasgulla is most popular in Odisha and West Bengal (two major eastern states in India), its fame has spread all over the Indian subcontinent. 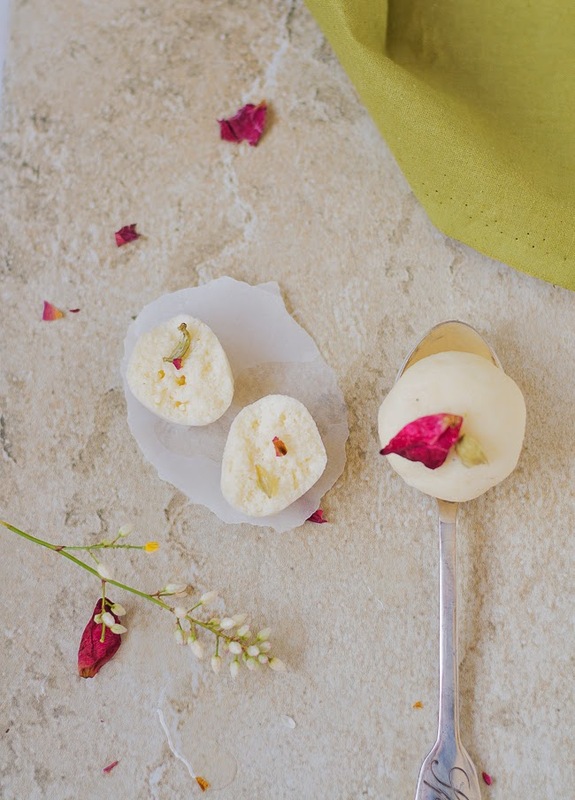 It’s a cheese-based syrupy dessert, made from ball shaped dumplings of Indian cottage cheese. It’s cooked in light syrup which is made of sugar. Generally it’s better to serve hot but bit colder also equally good. There is a big fight between Odisha and Bengal about who invented Rasogolla. There are proofs that it might have come from Odisha. 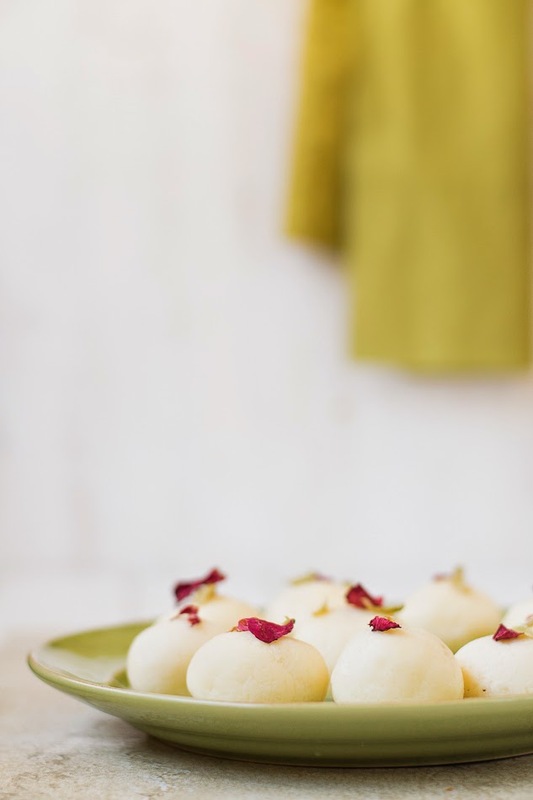 Later in the mid- 19th century, a Kolkata-based confectioner named Nobin Chandra Das modified the recipe to produce the whitish spongy variant of Rasogolla, the form which became hugely popular in Bengal. Later his son K.C. Das made the chain of sweet stores all over India. The process of making this sweet is not really difficult, once you get the hang of it. True that it takes time and you must give little patience and effort behind it. But I can ensure it will be really satisfying at the end. This will be real surprise to your guests in the lunch or dinner menu. Bengalis can start their meal with couple of Rasogolla and end it with a few more. 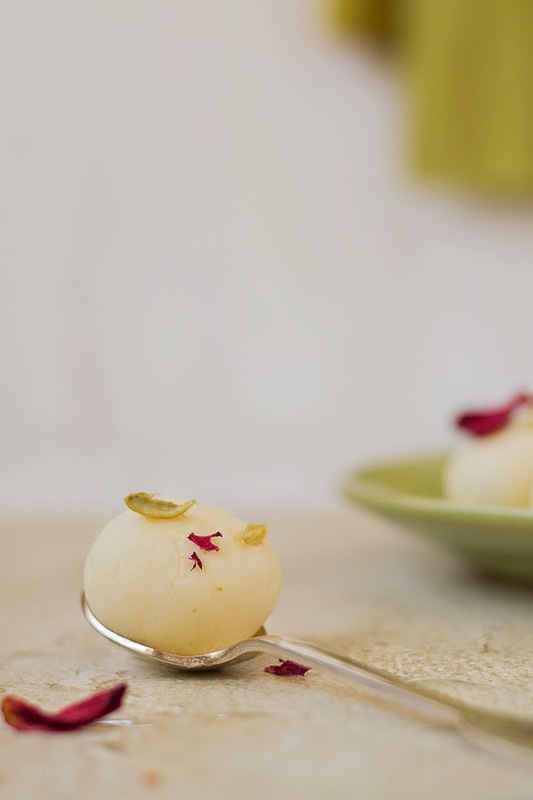 I have said enough about Bengal’s love for Rasogolla and so let’s come to the recipe. 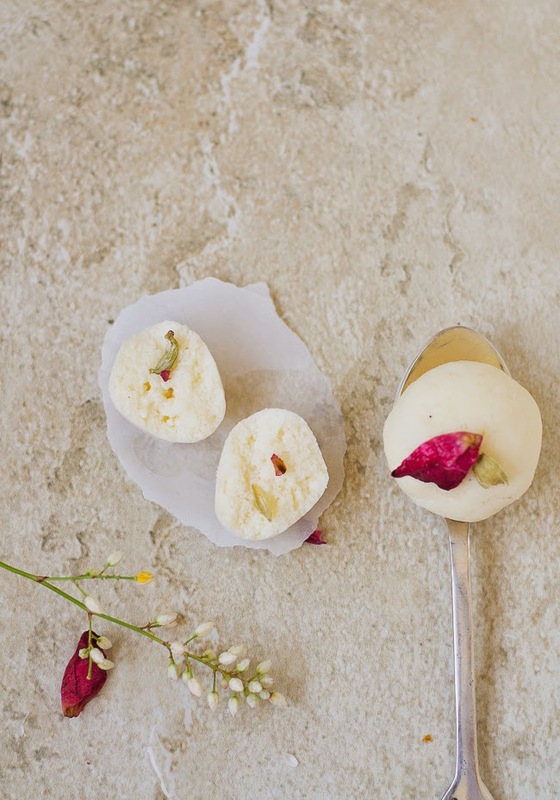 I had no plan to share this recipe of Rasogolla. But thanks to my hubby who insisted me to post it on this occasion of Bengali New Year. This is not my first attempt because I learnt it long back and make the same once in a year. 1. Boil the milk in a heavy-bottomed pan over medium to low heat, stir occasionally. Once the milk starts boiling, lower the flame. Pour the white vinegar and stir in. Milk will start cuddling and change into chhana ( cottage cheese ) and greenish water. 2. Remove the pan from heat and leave the chhana in this condition for 3 to 5 minutes. 3. Pour the chhana - water mixture over a cheese cloth or a soft cotton cloth and let the water drain away. 4. Put this cloth with the chhana under cold running water for 2 to 3 minutes. Then hang the chhana along with cloth on the kitchen faucet for around 45 minutes. 5. Now once again squeeze the cloth, if there is any extra water. But note that the chhana should not get too dry. 6. Put the lump of chhana over flat surface and knead it. Add sooji, flour, sugar and green cardamom powder to it. Mix it nicely with the chhana and knead it. Press the dough with your palm continuously for about 3 to 4 minutes until you feel your palm is oily. 7. Divide the dough into 12 to 15 equal portions. 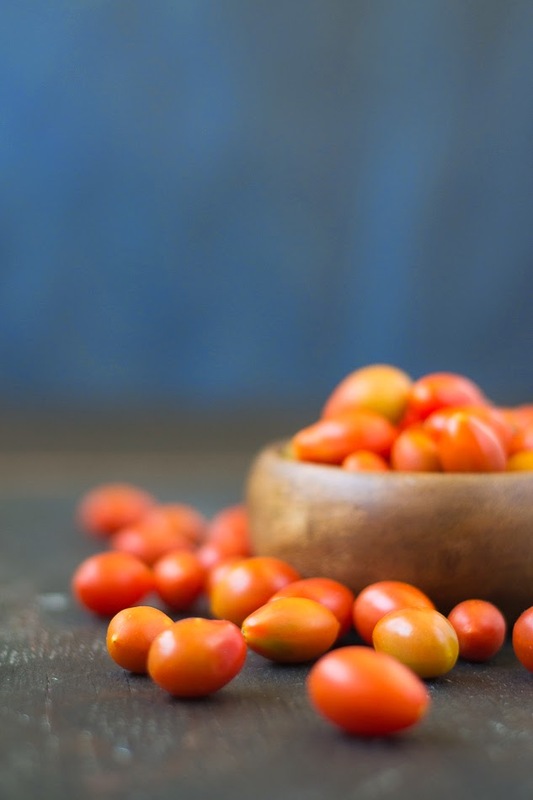 Put a cardamom seed in the middle of each and make a perfect smooth surfaced round ball. 8. Take a big deep- bottomed pan with lid. Add water and sugar, once it starts to boil add the crushed green cardamom. After 5 minutes, gently add the chhana balls into the syrup. Cover it and turn down the heat to medium high. Let it cook. 9. After 25 minutes, open the lid to check. The Rasogolla will be about one and half times of their original sizes and become spongy too. 10. After 5 minutes turn off the gas. Enjoy hot or chilled with some extra syrup. Labels: chhana, chhena, cottage cheese dumplings, dessert, poila boishakh, rasgulla, rasogolla, spongy rasogolla, sugar syrup. It's been a very inconsistent and unpredictable climate here in San Diego for last one month. Sometimes it is cold crisp windy; the other day is warm and sunny. Today if you need a warm bowl of soup, the next day you may need some summer salads. This is typical here before the peak summer eventually arrives and summer fruits will bid good bye to winter. 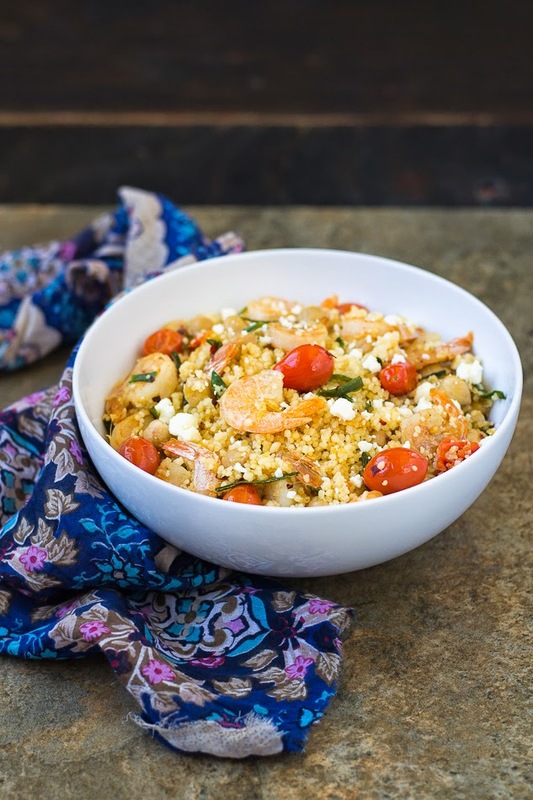 Today what I am going to share is one of my favorite summer salads, called Mediterranean salad, Couscous with shrimp and feta cheese. 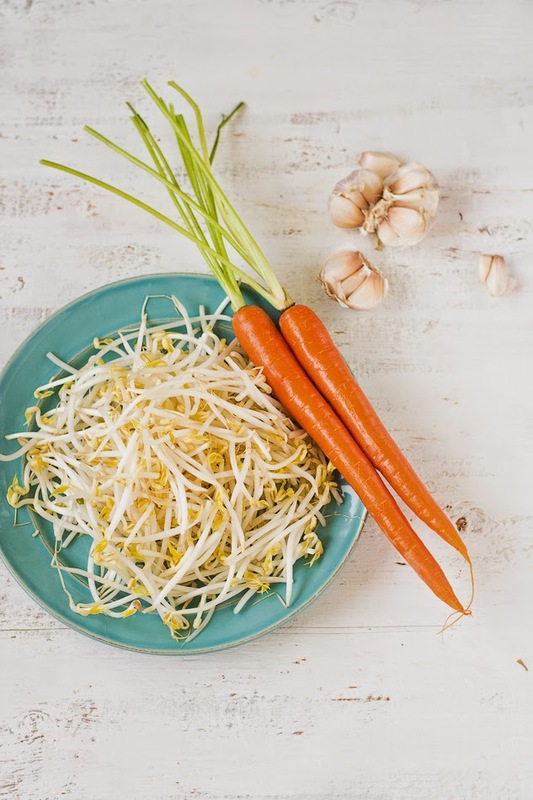 You can serve this as a side dish or serve it as a meal. 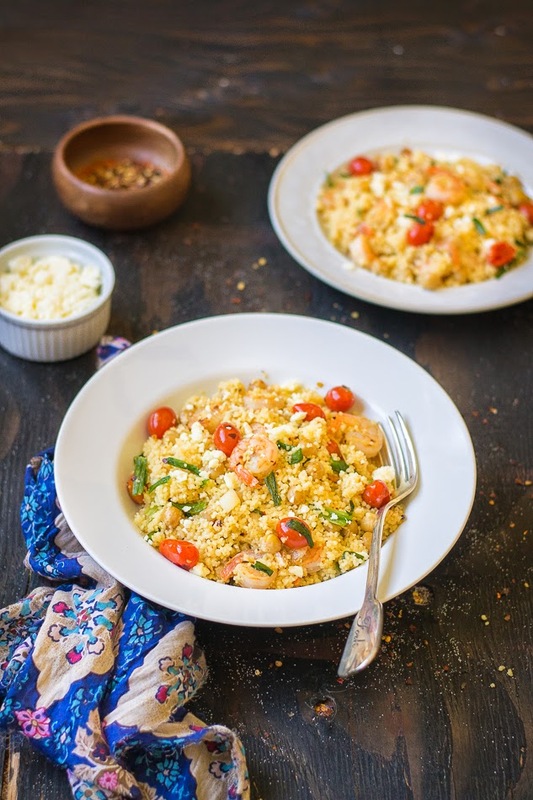 The dish is made of couscous, granules of durum wheat and very popular staple food throughout North African cuisines. It is quick, easy and got a fresh look. 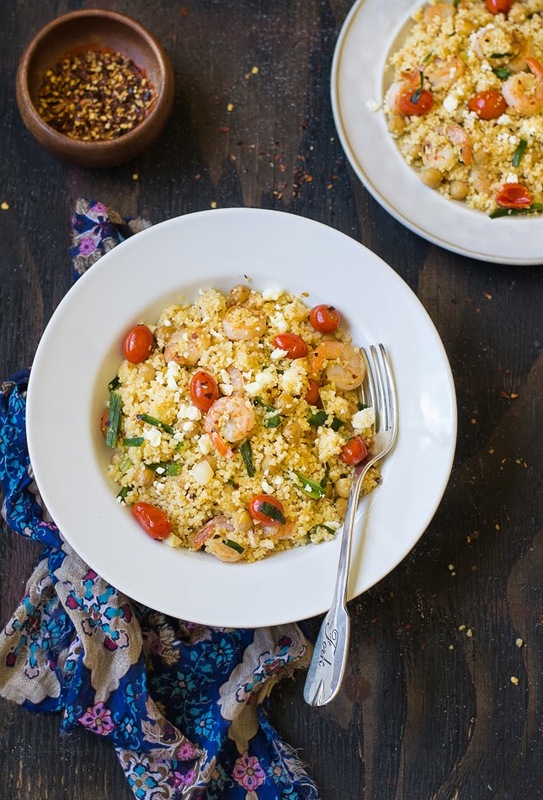 Couscous has a mild flavor that makes it extremely versatile. And it works so well with different flavors, both sweet and savory. The texture looks like grainy, though it is technically not a grain. It tastes like a combination of pasta and semolina. It goes well with Greek spices and flavors. If you are from southern or eastern part of India and want to reduce your daily rice intake, then this dish is one of the healthiest substitutes. There are several types of couscous. Most common one is the large Israeli one, which is pearled like couscous. Then there is Moroccan couscous that looks 3 times the size of cornmeal. What I cooked today is the second one. Just like any other salad, you can add any ingredient of your choice to this dish. 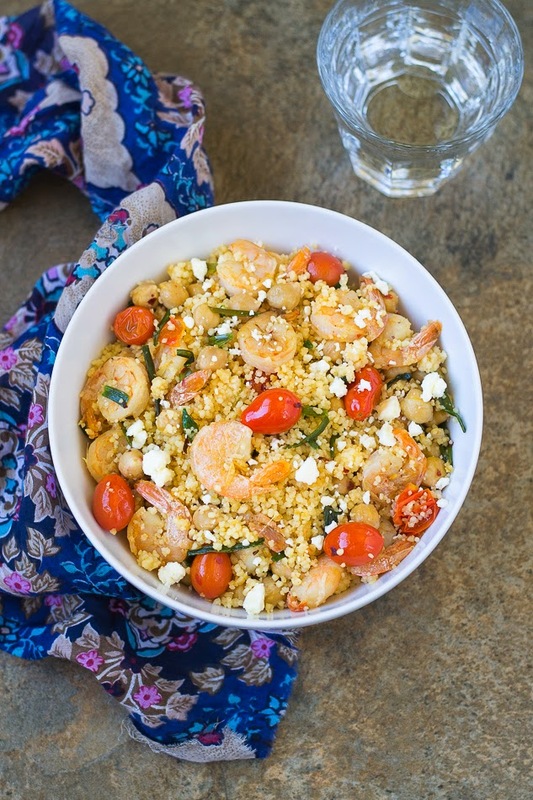 Specifically I added grape tomatoes, garlic, shrimp, feta cheese and used light lemon dressing. That'sall! It came out not only very colorful but tasty too! 1. Cook the couscous as per package direction. Cover and keep warm until ready to serve. 2. Meanwhile, heat 1 tablespoon olive oil in a large pan over medium-high heat. Add the shrimp and sprinkle salt and red pepper flakes. Stir it occasionally, until the shrimp are pink. Once it is done, transfer the shrimp to a plate. 3. Add the the remaining oil to the pan, and heat it up. Add garlic and tomatoes to the oil and stir it occasionally and cook until tomatoes are tender. Add the chickpeas and keep stirring. 4. Return the shrimp to the pan, add the scallions and 1 tablespoon dill. Give some stirs. 5. 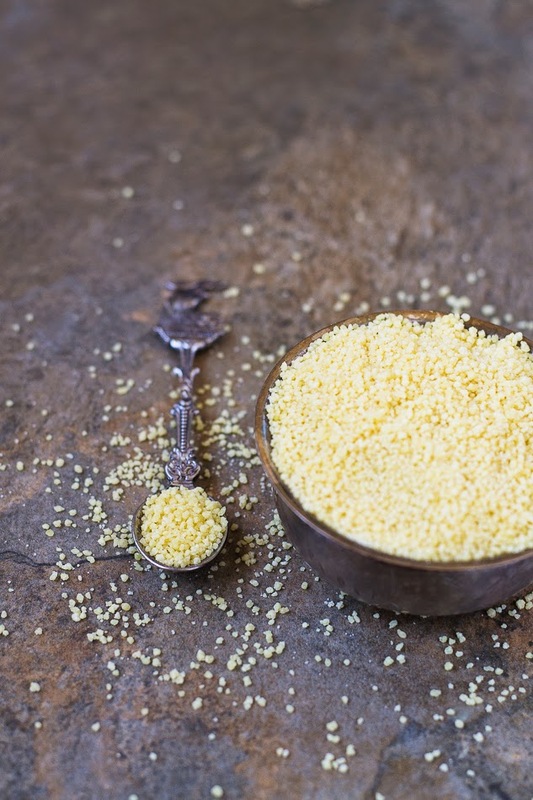 Fluff the couscous with a fork and add to pan. Add feta and mix it well. Check seasoning and add salt or red pepper flakes if needed. Add the lemon juice and again mix it. Sprinkle with the remaining 1 tablespoon dill and serve. Today I am very glad and excited that my site is no longer a newbie. It’s bit difficult for me to digest the fact that I have been blogging for a year now. It feels like yesterday when I recall the excitement of initial days when I was wondering if I am right for this job and would be able to continue. Thanks to all of my friends who insisted me to start this food blog and still inspiring me. It’s been a nice journey with new learning experiences every day. Now I am totally hooked on food blogging, styling and photography, though it takes good amount of time from everyday life. I have lots of pending works to make this space beautiful, which I will hopefully finish soon. Let me sincerely thank all of you who visits, reads, pins, tweets my post and regularly follow me and to my friends who still encourage me through their good words. Finally big thanks to my hubby and my little one whose appreciation is my inspirations and help me to keep my passion alive. 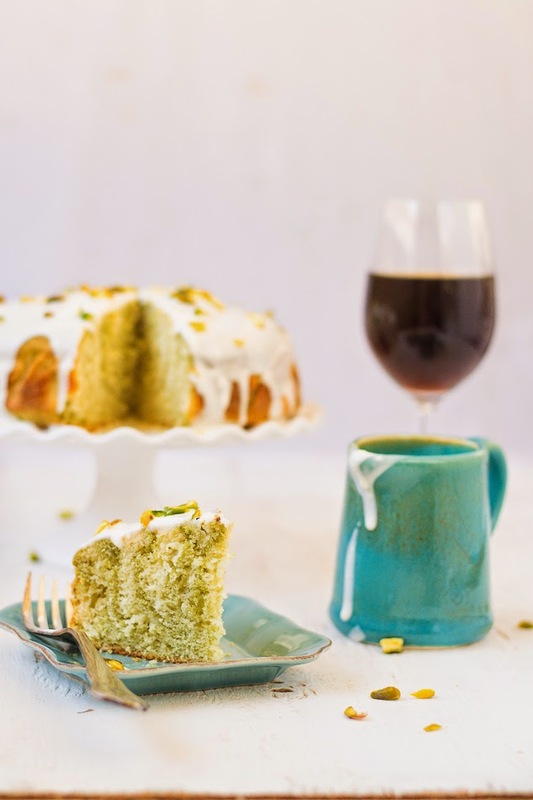 To celebrate my blog's anniversary I made one simple and but bit uncommon cake, Pistachio Pound Cake with Cream Cheese Glaze. I got the idea of making this cake from Pinterest. 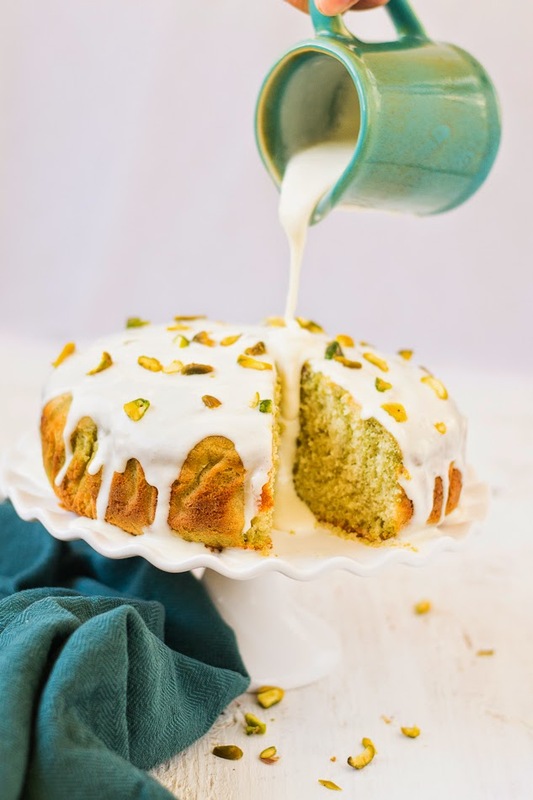 This is a basic pound cake flavored with pistachios; the ground pistachios give the batter a very distinct flavor and a nice green tinge. I have glazed the cake with cream cheese that makes the cake wonderfully moist. You can use the glaze as per your choice. Chocolate ganache or whipping fresh cream will also go well with this cake. 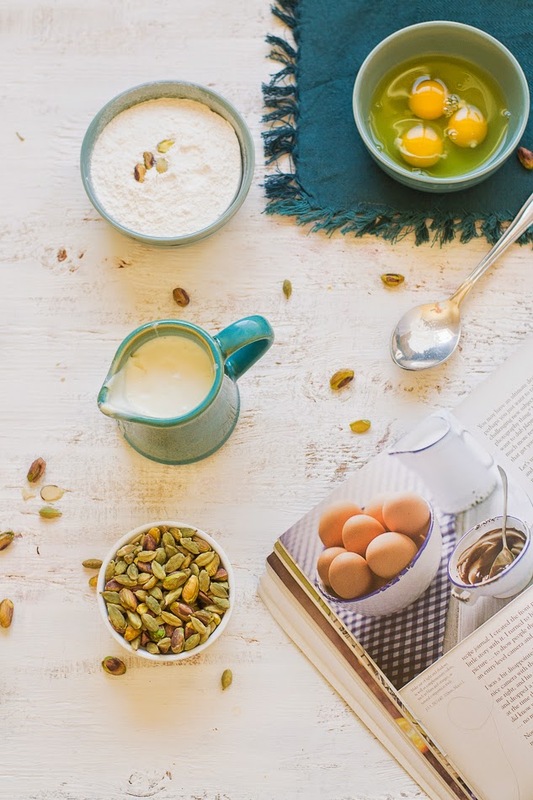 I have tried those options too but it would more delicious when it is drizzled with cream cheese icing and sprinkled with chopped pistachios. My sister always complains that it’s so difficult to make any yummy cake from my blog, like the Black Forest Cake that I made last month. So I had a plan to post the recipe of something simple and no-fuss cake. 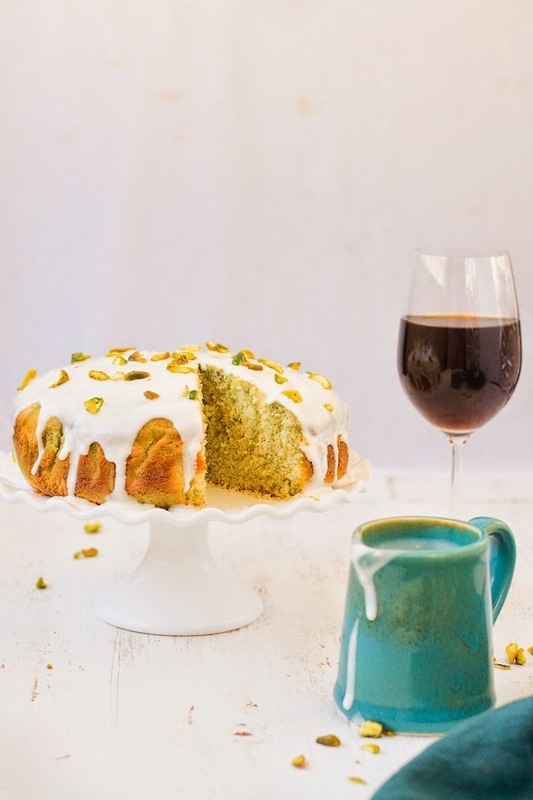 I had some pistachios in my pantry since the Diwali time which I well utilized by making this cake. 1. Preheat oven to 325 degrees F / 190 degrees C. Grease an eight or nine inch round pan with cooking spray. Line with parchment, spray the parchment and dust with flour. 2. Shift flour, baking powder and salt and set it aside. 3. In a mixing bowl fitted with a paddle attachment, cream the butter at medium speed for 2 minutes or until creamy. Add sugar and continue to mix it at medium to high speed. 4. Add vanilla extract to the sugar- butter mixture. Add eggs one at a time and mix it at medium speed until well combined. 5. Add the flour mixture in 3 additions and alternately add the the milk. Mix it well and scrape down the sides if needed. 6. Mix the pistachios paste and mix to combine. 7. Transfer the batter to the prepared pan and spread it evenly and bake it for 60 to 70 minutes or until the skewer or a tooth pick inserted in the center of the cake, comes out clean. 8. Let it cool in pan for around 20 minutes. Once it is completely cool, take it off from the pan and remove the parchment. 9. For Cream cheese glaze : Beat cream cheese until very creamy, add the powdered sugar and mix it well until well combined. Stir in vanilla extract. Add the milk and mix it well. Check the desired consistency. If glaze is too thick, add more milk, one tablespoon at a time. 10. 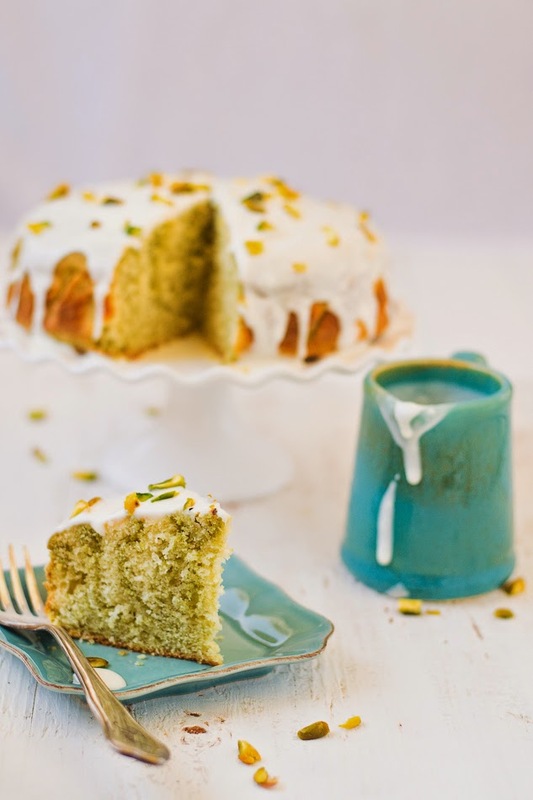 Transfer the cake on a cake stand or a serving plate, drizzle the glaze over the cake. Let it run over top and sides of cake. 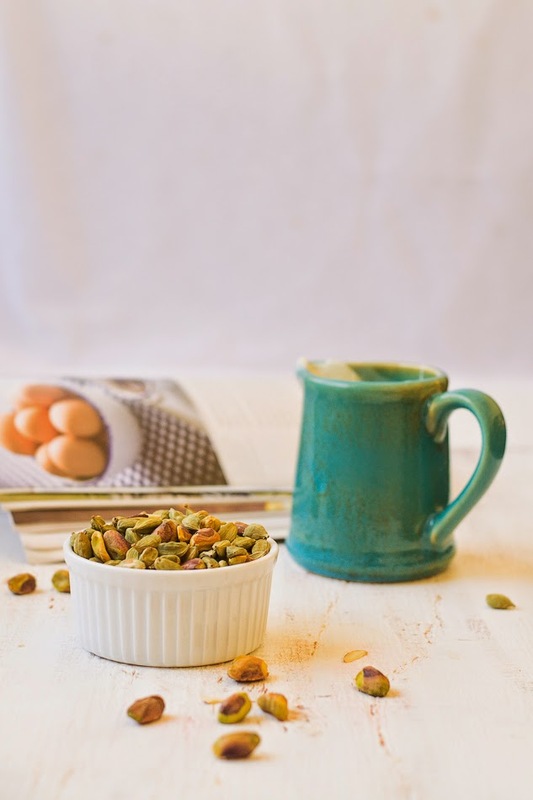 Sprinkle the chopped pistachios and serve.